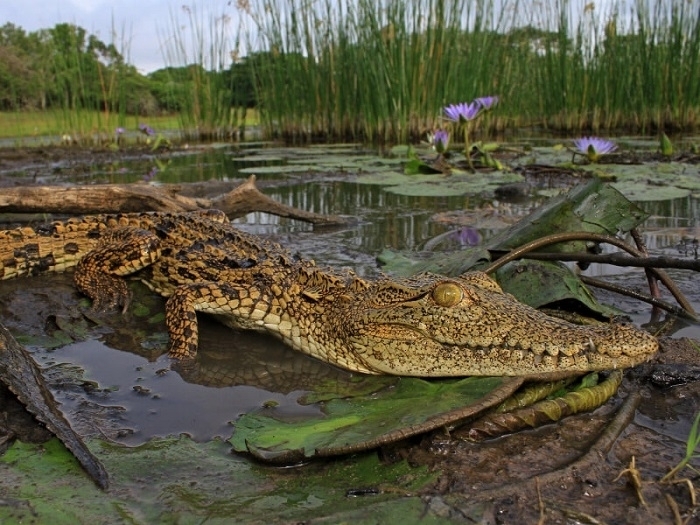 Our expert guide will show you around a captive-bred bask of more than 200 crocs, ranging from hatchlings to adults. 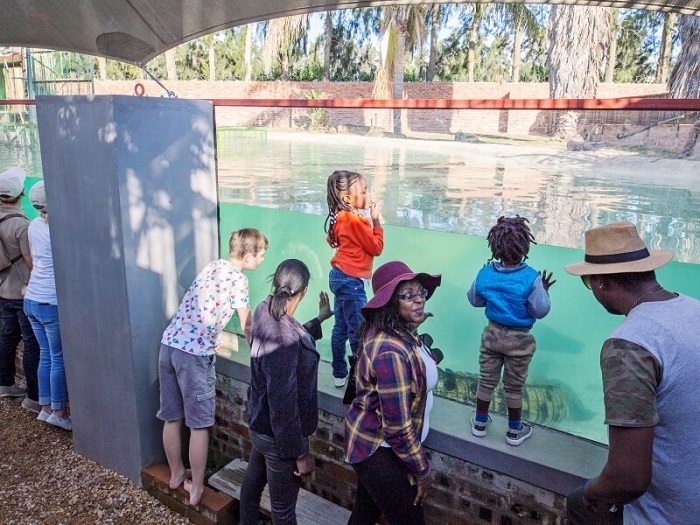 You’ll walk on ramp ways spanning four large dams, all the while learning more about Africa’s largest reptile, and even get a chance to view these fascinating predators in their underwater environment from our viewing cabin. 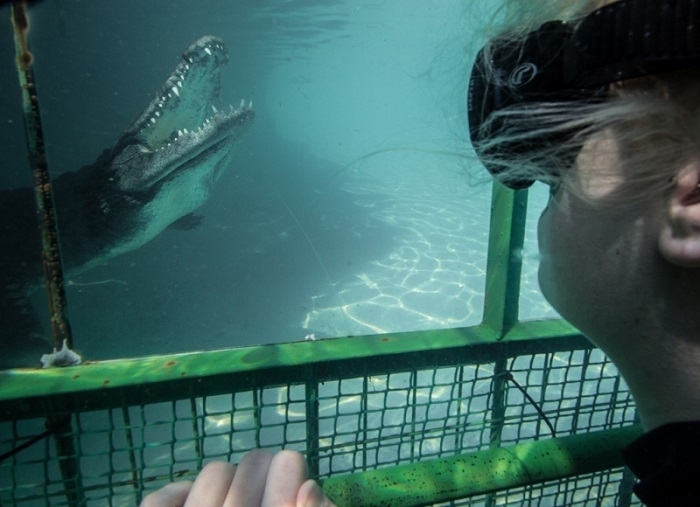 a Close encounter opportunity with a young croc is available under supervision of our well trained guide. 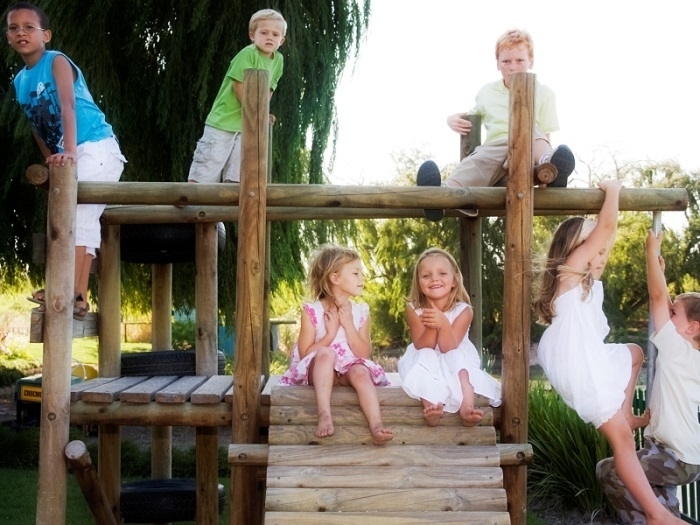 With 11 daily tours, no bookings are required. 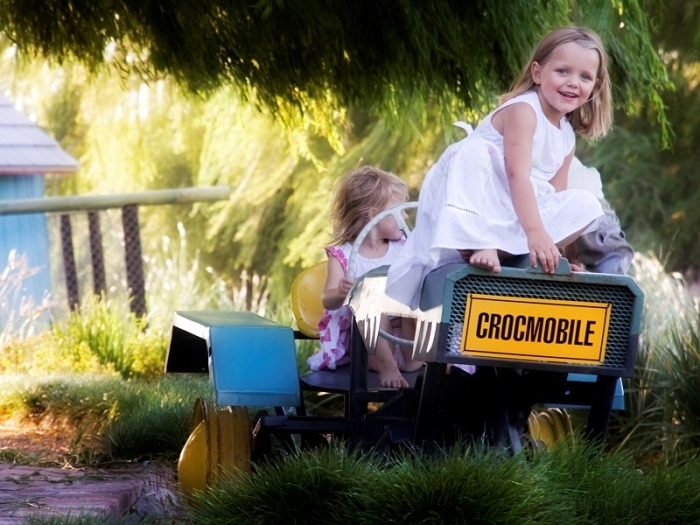 Between 15 Dec & 8 Feb we feed the crocs at 11h45, 14h15 and 15h45. NO BOOKINGS NEEDED FOR INDIVIDUALS. 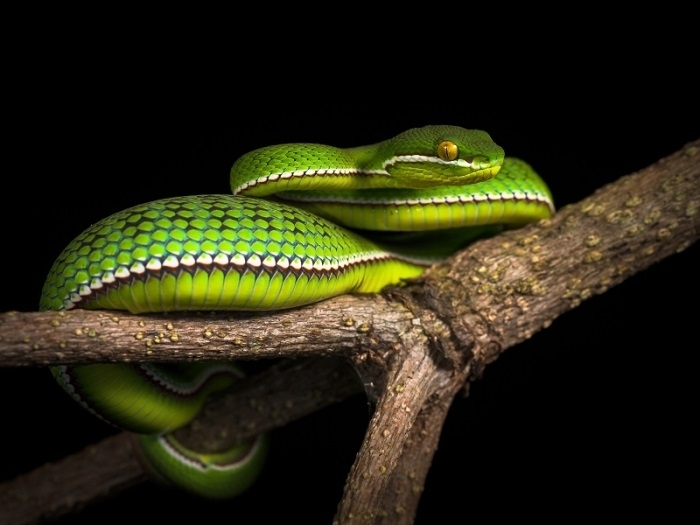 Our indoor, self-guided ‘Snakes in Transit’ exhibition features an impressive collection of local and foreign snakes and is open seven days a week. 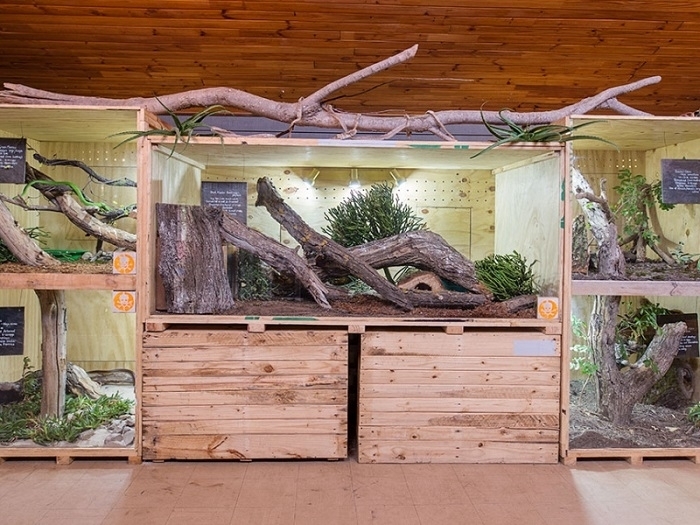 The snakes are housed in roomy enclosures fronted with safety glass, and the clearly-signposted exhibit includes loads of information about our scaled brethren. 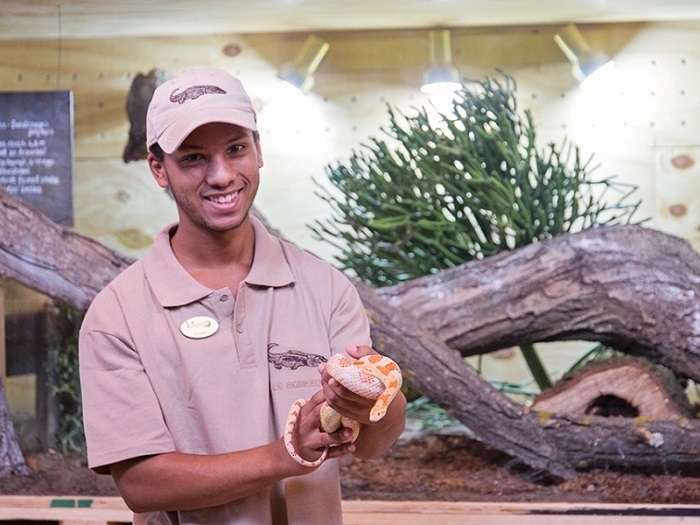 On Saturdays (12h10 only), Sundays (12h10 and 15h10) and public holidays (12h10 and 15h10), our experienced snake handler puts on an interactive snake show where you’ll learn to appreciate these oft-misunderstood creatures. A close encounter opportunity with An ambassador snake is available under supervision of our well trained guide. NO BOOKINGS NEEDED FOR INDIVIDUALS. 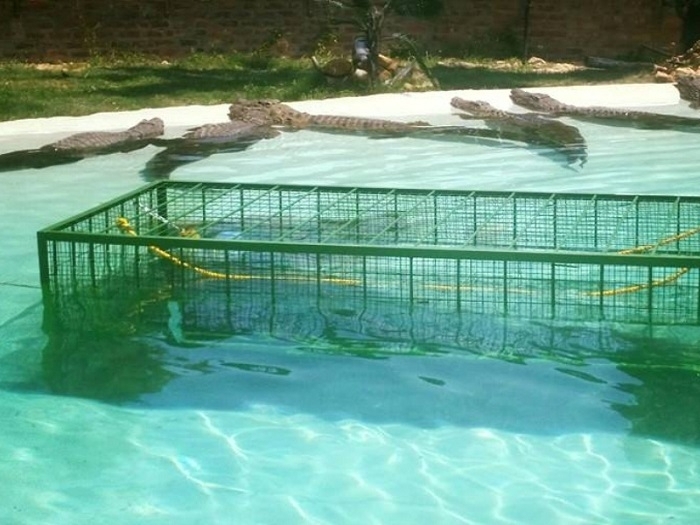 Take things to the next level by sharing a pond with half a dozen adult Nile crocs. 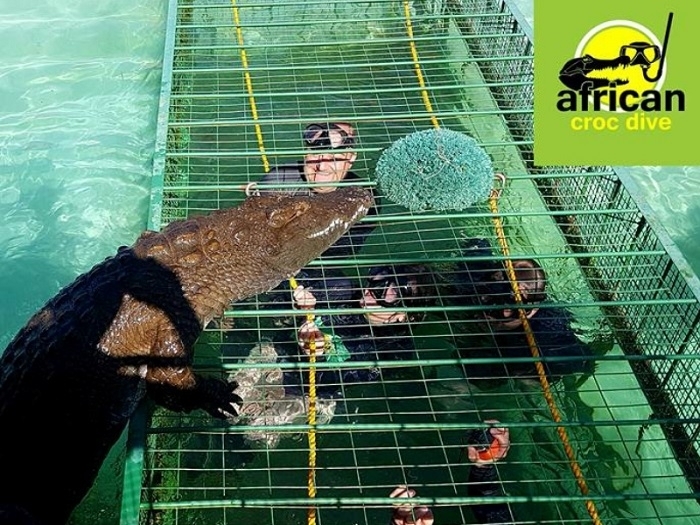 Facilitated by African Croc Dive, this thrilling close encounter includes a safety briefing and all diving equipment, and takes place in a sturdy and spacious steel cage that’s surrounded by water on all sides. 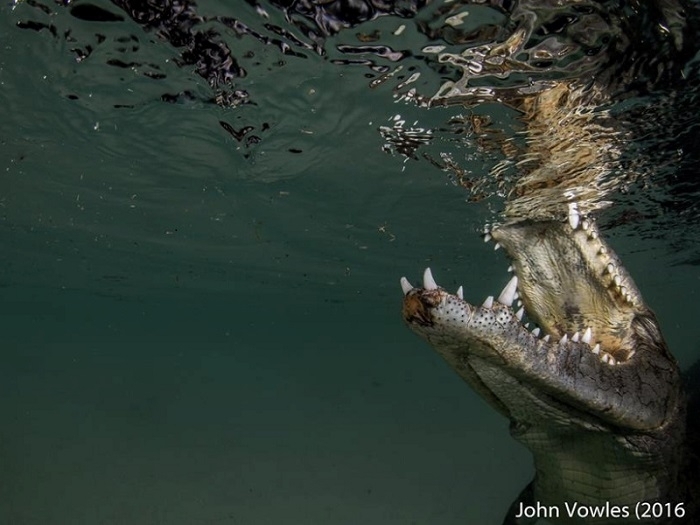 You’ll spend around 20 minutes in the crocs’ watery habitat and will get to see them both feeding and resting, underwater and at surface level. Booking is recommended but not essential. 15 September – April, six daily dives, ages nine and up. 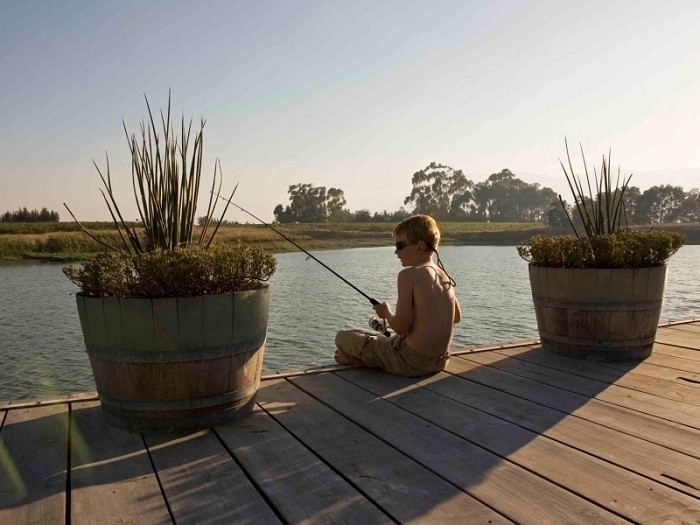 Our wide, tranquil dam doesn’t just look great, it’s also stocked with bass and tilapia ( but no crocs! ). Cast a line from one of several jetties or take a jaunt in our rowboat. 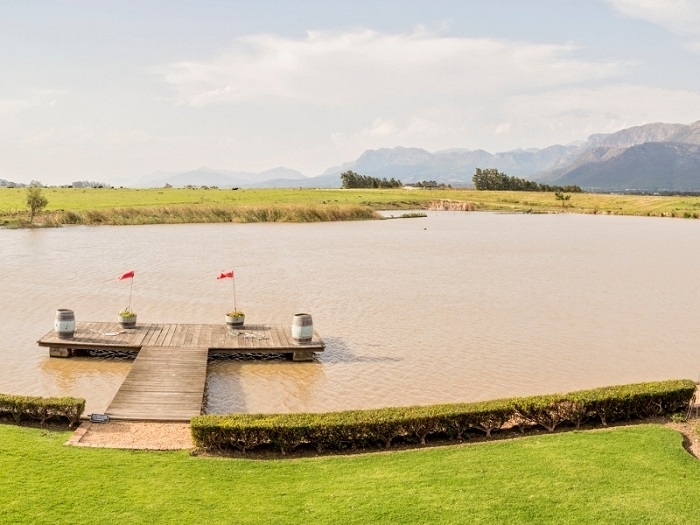 Fringed by willows and set against a spectacular mountain backdrop, the dam is popular among experienced anglers and novices alike. You can bring your own equipment or you can borrow from us, and we can even arrange an in-depth lesson with a professional fishing guide. The best part? Fish or no fish, our wood-fired pizzas are only a short stroll from the water’s edge. NO BOOKINGS NEEDED FOR INDIVIDUALS. 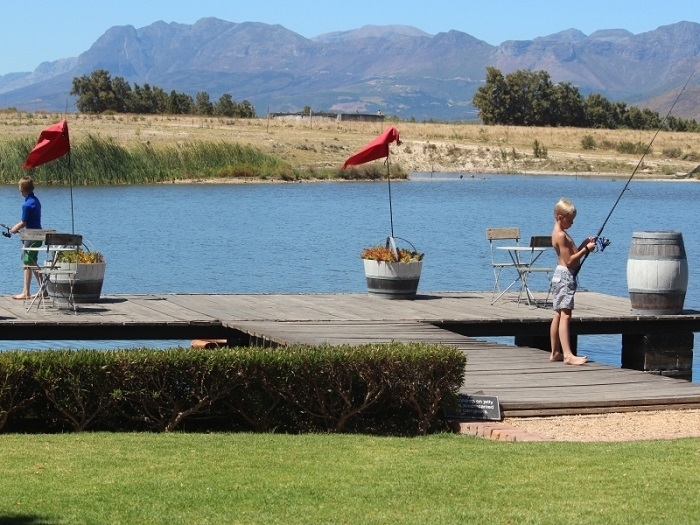 Bring and braai your own meal at one of our delightful waterside braai spots. 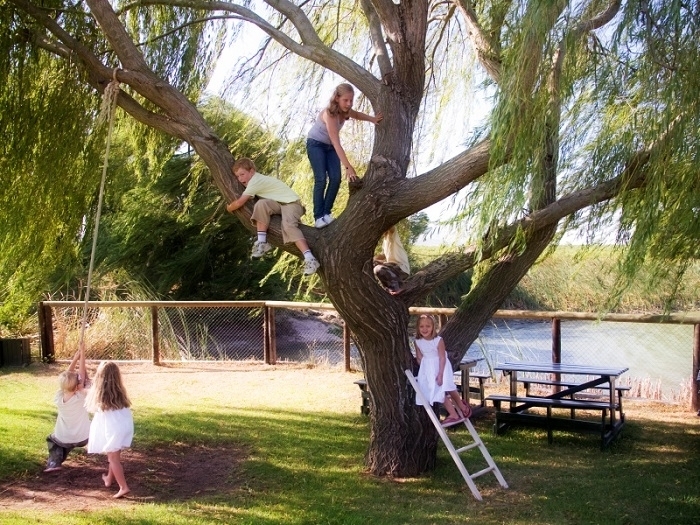 We welcome small families and much larger groups, and we’re flexible about the logistics too. We can provide cutlery, crockery and glassware so you only have to worry about food and drink, or you can bring everything yourself. 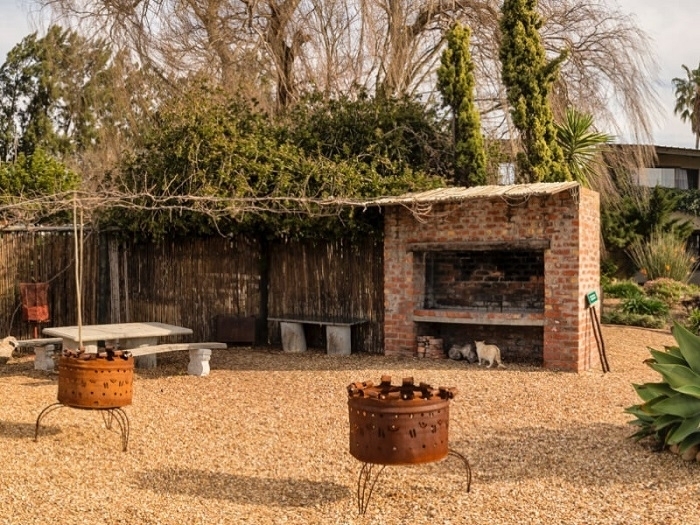 Either way, we’ll supply a braai grid, but you’ll need to bring wood/charcoal and firelighters. We charge corkage if you choose to bring your own alcoholic drinks.